The innovative Passio 2 combines features of standard and comfort tyres to create the perfect summer tyre for passenger cars. 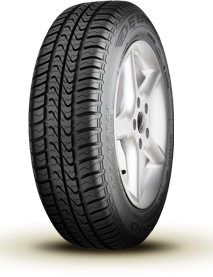 The optimised contour of the tyre contributes to the even distribution of stress resulting in even tread wear. This will increase economy as tyre life is extended.